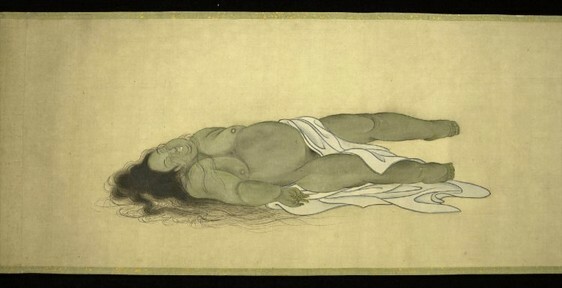 I’m not sure if everyone has the same tolerance for morbidity that I do, but this series of drawings by Kobayashi Eitaku (1843-1890) depicting the stages of bodily decay is just so interesting! 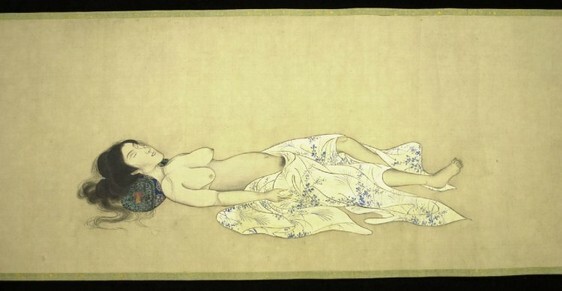 Supposedly, this subject was a courtesan. Interesting choice. 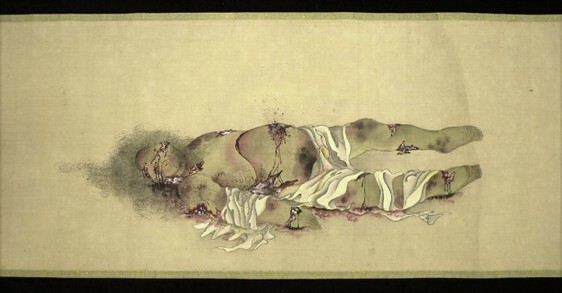 This entry was posted on February 7, 2012 at 1:55 pm and is filed under anatomy, art, japan, macabre, vintage with tags anatomy, art, japan, macabre, vintage. You can follow any responses to this entry through the RSS 2.0 feed. You can leave a response, or trackback from your own site. I agree. The subject matter may be morbid but they were illustrated with such care. This is interesting, I wonder if they’re wood block prints or water color? 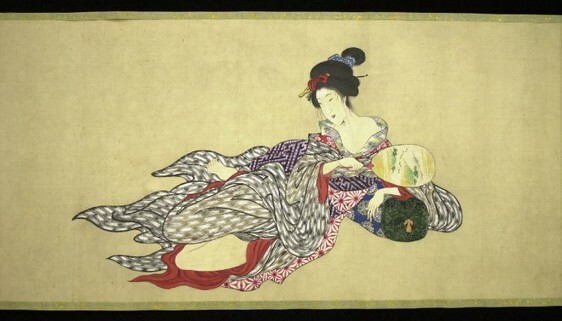 I’ve seen some fascinating wood block prints of murders, tortures, and assorted acts of revenge on adulterous lovers but only in private collections, museums seem rarely to exhibit them. They look like watercolor to me, but I know the type of block print you’re talking about. I’ve collected a few examples on my hard drive, but don’t have much information about them! After seeing #7 I’m suddenly recalling the Ted Hughes poem “The Dogs Are Eating Your Mother”. What, me morbid? I agree, Andy! Some *very* interesting and/or disturbing pieces are floating in the historical archives. 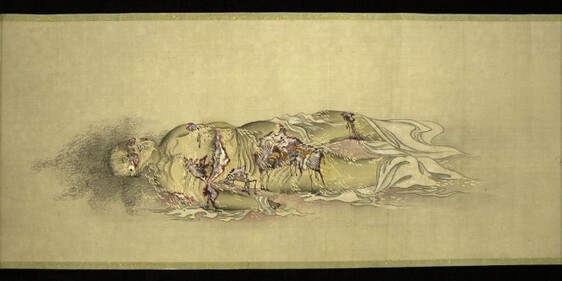 I have to wonder if the artist watched a body decay to know the stages. Hummmm….??? Probably did; before we had professionals who took care of dying people & dead bodies, the sight of a corpse wasn’t as uncommon as we think it to be. Good point. I was wondering if perhaps the artist was a medical professional, but these paintings are not exactly in a “clinical” setting. Disturbing and unsettling, but haunting and lovely at the same time. I think the lack of excessive gore keeps me from looking away.